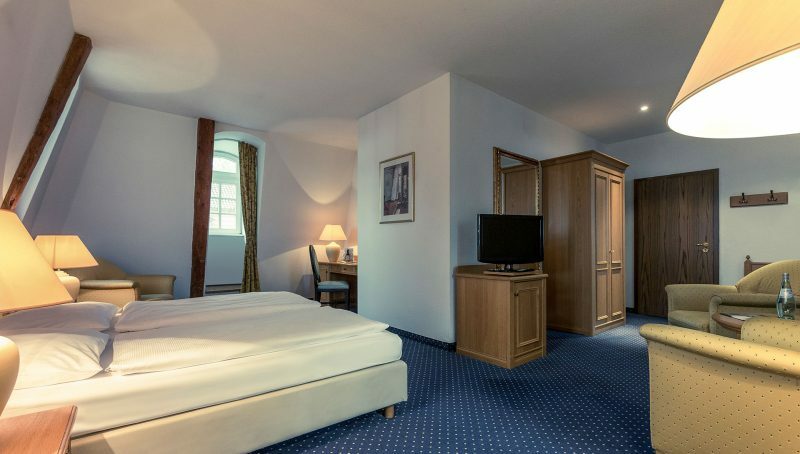 The superior double rooms are located on the second floor of the castle, giving you an extensive view of the Elde, Burg Neustadt-Glewe or the forecourt of the hotel. The rooms are fitted with queen-size double beds and have a shower. In contrast to the other categories of the main house, the superior double rooms are carpeted. A water kettle and tea, coffee and creamer are at your disposal. The second floor can be easily reached by the elevator of the hotel.